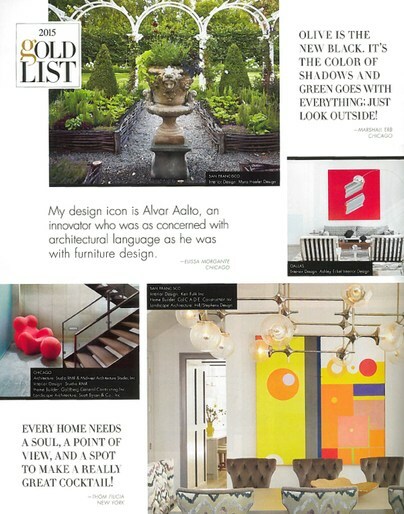 I'm honored to be included among the 2015 Gold List architects, home builders, designers and landscape architects! See the full list HERE. Read the full article HERE. 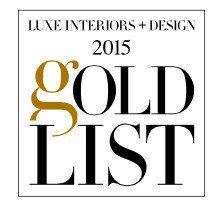 We are honored to be included on the 2015 Gold List for Luxe Magazine! Make sure to check out the winter issue of Luxe, where honorees will share some of their insights and tips on the coming-year's trends! 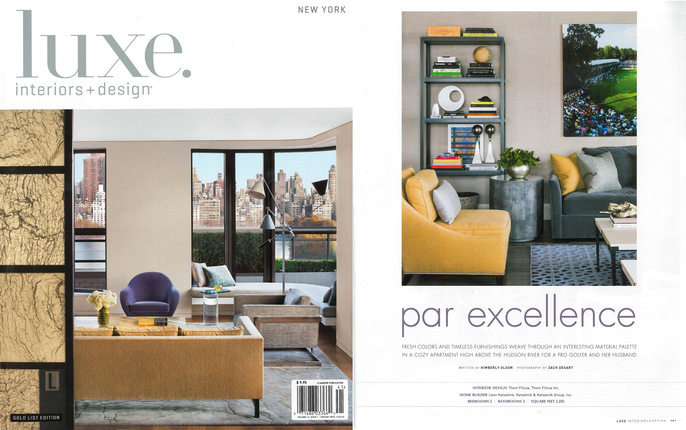 Make sure to pick up a copy of the winter issue of Luxe Magazine, featuring a NYC apartment designed by Thom Filicia for a pro-golfer, Cristie Kerr, and her husband, Erik Stevens.